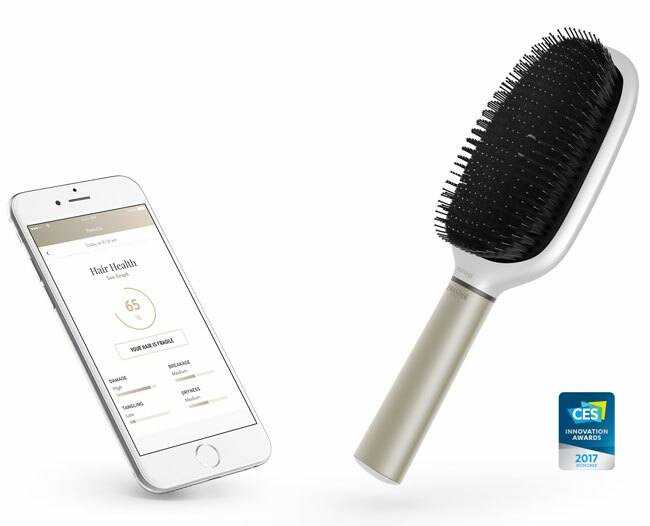 Meet the Kérastase Hair Coach Powered by Withings: a smart hairbrush that helps you monitor the health of your hair and improve your brushing technique. It has a microphone to listen to the sound of hair brushing and detect frizziness, dryness, split ends and breakage. 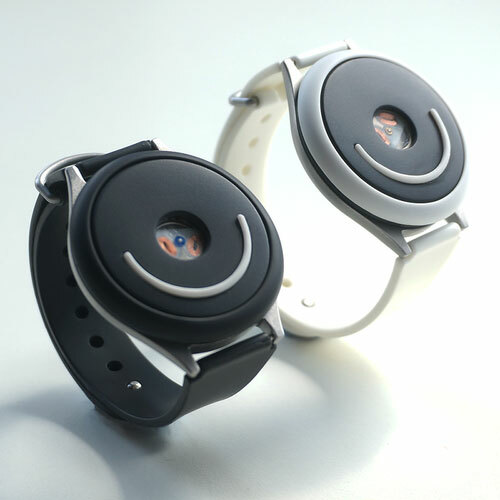 The hairbrush also has an accelerometer and gyroscope to count brush strokes and give you haptic feedback when you are doing something wrong. 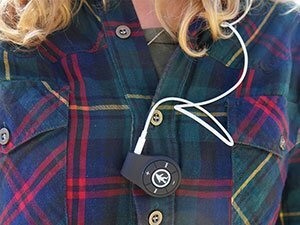 Hair Coach syncs data via WiFi or Bluetooth. The data is visualized on your smartphone.